Flap wheel FAPI-RING with straight flaps is suitable for surface treatment. The fan-shaped radial arranged flaps adapt to the contour of the workpiece. The flap discs FAPI-RING are manufactured with a low-cost mounting in ring form. When using the tool, it is essential to work with a suitable pair of clamping covers, which can be used again and again afterwards. High-quality abrasive cloth flaps with a base of heavy cotton cloth are arranged in close succession radially around a plastic or aluminium core. The dense arrangement of the abrasive flaps ensures maximum performance in the machining process. The optimum design of the flap discs guarantees maximum tool life and flexibility. The body diameter, the facing length (flaps) and the packaging are the decisive influencing factors for the process. 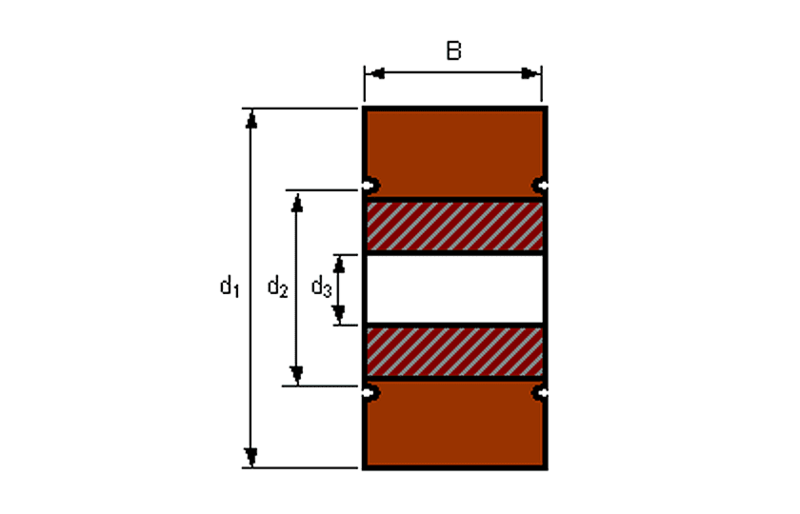 A large body diameter with many short lamellas leads to a high cutting performance and thus to a high material removal rate. A small body diameter with a few long lamellas leads to an even grinding pattern. Soft flap discs are also ideal for the surface finish. Today, flap discs are used in many areas of surface treatment. 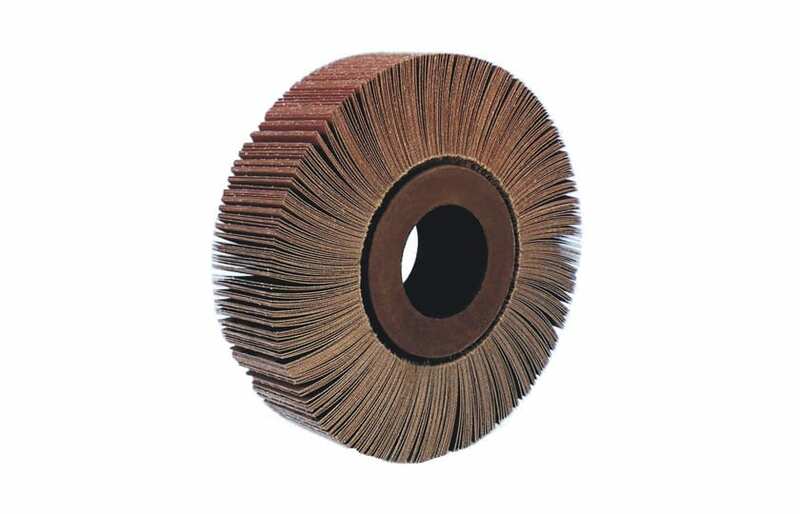 In the metal as well as in the woodworking industry, flap discs are used for grinding. The main applications for flap discs are fine surface grinding, concave and convex surfaces, edge processing, profiles, internal and external grinding of vessels and apparatus. Materials: steel, stainless steel, aluminium, wood and plastics. Machines: Hand sanding machines, stationary sanding machines, automatic sanding machines, sanding frames and sanding carousels, flexible shafts. For the machining of workpieces with flap grinding wheels, the contact pressure must be as low as possible. In order to maintain a constant grinding pattern until wear, counter-rotating grinding should be used if possible. The surface is refined by adding grinding oil/grease. The flap wheel is very easy to profile and adapts continuously to the workpiece, even during use. Profile the flap wheel “backwards”, i.e. against its running direction. In this way you profile the fabric side and not the grain side and have the desired profile in the flap wheel within seconds. The grain size of the flap wheel should be approx. one to two steps coarser than the grain size of the grinding belt. Coarse grit on a flap wheel will produce a finer effect at high speed – fine grit will produce a coarser effect at low speed. Select contact pressure sensitively but not too strongly, possibly use coarser grit.